The leader of the Indigenous People of Biafra (IPOB) Nnamdi Kanu was released from Kuje Prison on Friday after perfecting what was thought to be tough bail conditions. Kanu was brought from Kuje Prison to the Federal High Court Abuja to sign the necessary bail papers. The process, which took about 10 minutes, saw Kanu emerging with smiles from the court in the company of his sureties and relatives. Earlier, his lawyer, Ifeanyi Ejiofor, his three sureties, the Chairman, South East Senate caucus, Sen. Enyinnaya Abaribe, a Jewish High Chief Priest, Immanuu-El Shalom and a Chartered Accountant residing in Abuja, Tochukwu Uchendu signed his bail bond. 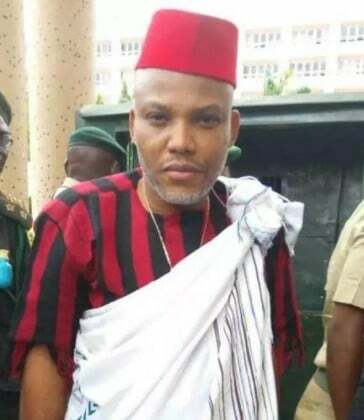 Justice Binta Nyako had on Tuesday 25 April, admitted Kanu to bail on health grounds. Nyako, in her ruling, said that one of the sureties must be a senior highly placed person of Igbo extraction, such as a senator. He was also to produce a highly respected and recognised Jewish leader and a highly respected person, who is resident and owns landed property in Abuja. Nyako ruled that each of the sureties would deposit N100 million each. In addition to the bail conditions, Kanu was barred from attending any rally or granting any form of an interview. Kanu who is standing trial on allegations of treasonable felony along with three others has been in detention since October 2015. Until his arrest in Lagos, he was the director of the UK-based radio station, Radio Biafra. He was charged with criminal conspiracy, intimidation and belonging to an unlawful society. 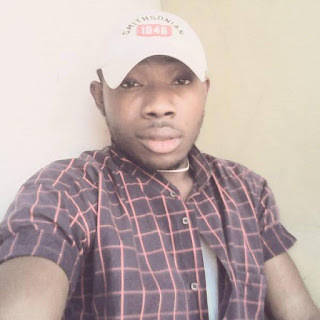 He pleaded not guilty to the charge and was granted conditional release by Chief Justice Binta Nyako of the Abuja High Court. Kanu’s father, His Royal Highness, Eze Israel Kanu and his wife, Ugoeze Sally Kanu, rejected the bail conditions, saying their son should be released unconditionally. But apprehensions that the bail conditions were insurmountable were extinguished by Senator Enyinnaya Abaribe (PDP-Abia), who said all the conditions had been met. Abaribe told NAN on Friday in Abuja, that he and two others had signed the bail bond for Kanu and that they were hopeful that he would be released. “I came to the Federal High Court to sign the bail bond for Nnamdi Kanu according to the conditions given by Justice Nyako for his bail, part of which was that a senator will sign for him,” Abaribe said.